The Philippines climbed six notches in a World Economic Forum (WEF) survey that ranks countries based on how competitive they are in attracting business. In its Global Competitiveness Report 2013-2014, the WEF ranked the Philippines in 59th place among 148 countries included in the survey. This was an improvement from last year when the Philippines ranked 65th. The Philippines however still trailed three other emerging economies in Southeast Asia, namely Malaysia, Thailand and Indonesia. Malaysia and Thailand climbed a notch each to 24th and 37th place, respectively. Indonesia however jumped 12 notches from 50th last year to 38th this year. Switzerland kept its stature as the world's most competitive nation, followed by Singapore and Finland. 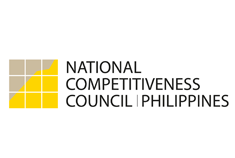 WEF said the Philippines improved across most dimensions of the Global Competitiveness Index, but helping fuel the country's advance this year was in the institutions pillar, in which ranked ranked 79th. “There are signs that these efforts are producing results: in the ethics and corruption category, the country has jumped from 135th in 2010 to 87th this year. A similar trend has been observed in the government efficiency category (75th) and elsewhere in the Index,” the report said. “But improvements are coming from such a low base that the country cannot afford to be complacent. For instance, transport infrastructure has improved but remains in a dire state (84th), especially with respect to airport (113th) and seaport facilities (116th),” WEF said. “Similarly, the labor market has become more flexible and efficient over the years, but the Philippines still ranks a low 100th. The recent successes of the government in tackling some of the most pressing structural issues are encouraging and proof that bold reforms and measures can yield positive results,” the report said. Finance Secretary Cesar V. Purisima said the improvement in the Philippines' score, especially in the area of governance, "is a sign that our partners have observed less diversion of public funds, less wasteful spending, and more efficient legal and administrative frameworks that support business in the Philippines." In a statement, Purisima also called attention to the country's improvement in terms of innovaion, in which the Philippines climbed 25 notches to the 69th spot. "This is an indicator that we have made progress in driving business with the inherent talent, creativity, and ingenuity of our people," he said.